There are plenty of predictions made in social media posts and blogs for upcoming interior trends and it’s easy to get caught up in the whirlwind of the blogger lifestyle. Feel free to take inspiration from these posts but know that your budget and home space may vary to theirs. The most important thing to consider when you decide to follow a trend is to choose a style that you truly admire. 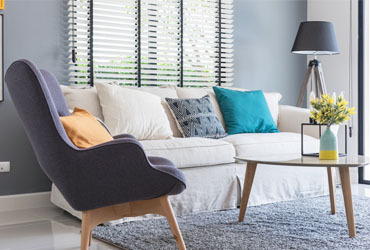 A complete refurbish every quarter can become quite an expensive hobby so it’s a smart idea to choose an overall interior style that you know will last longer than a season. Try and keep a relatively neutral base, adding pops of colour and pattern with soft furnishings such as cushions, throws, rugs and decorative accessories. There are many ways to incorporate design trends into your home whilst implementing a cost-effective approach. Key Pieces Make the Difference! Interchangeable accent pieces are a great way to switch up an interior aesthetic. For example, you can swap a cosy sheepskin winter rug for a lightweight hand tufted wool rug in the summer. This small change will have a great effect on the atmosphere and ambience of a room. This also works for cushions and throws in various colours and fabrics. Deep tone velvet may appeal to you in the winter, but once spring arrives, you may favour the airier pastel shades. Whether it’s a colour, pattern or material that you particularly like, you can start by building up a selection of key pieces in this style. Place these pieces around the room to generate the aesthetic trend that you desire. Once you’re ready to move on from this look, you can store these elements away and return to them in the future. Transforming your interior shouldn’t be a pressure because new trends and social media tell you to do it. It should only be about your personal tastes and style evolution. Use inspiration from design trends effectively to create your own signature style. If there’s a trend that you can’t keep out of your mind but feeling too nervous to try, start off small and find key pieces from this trend. You can incorporate it into your decorated room, gradually building upon the style by slowly switching out your décor. Updating elements such as door hardware for a distinctive statement door handle can have an impact on a room’s aesthetic whilst remaining cost effective. 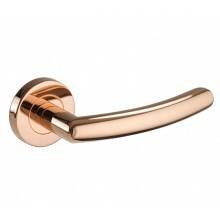 Copper features are prevalent in interior trends which makes the polished copper door handles the ideal choice for someone seeking a contemporary option. 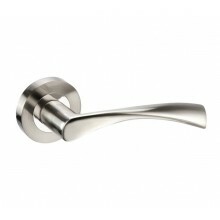 For a truly lasting trend, you’re onto a winner with the polished and satin chrome door handles on rose. They’re a timeless option, able to withstand any interior refurbishment. 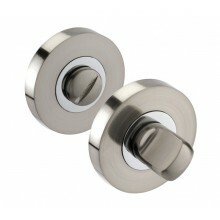 Pair with chrome door hinges and mortice door latch for a cohesive aesthetic throughout the home. Whether you’re into the minimalist or maximalist style, its also important to consider how design elements will fit into your lifestyle. It may not be ideal to choose the all-white trend or feature too many glass furnishings if you live with kids and pets! We hope to inspire your home improvement projects and offer a variety of high-quality products that excel in both aesthetic and performance. For more interior inspiration, check out our previous blog Go Gothic with Moody Hues to find out how you can showcase your daring side.